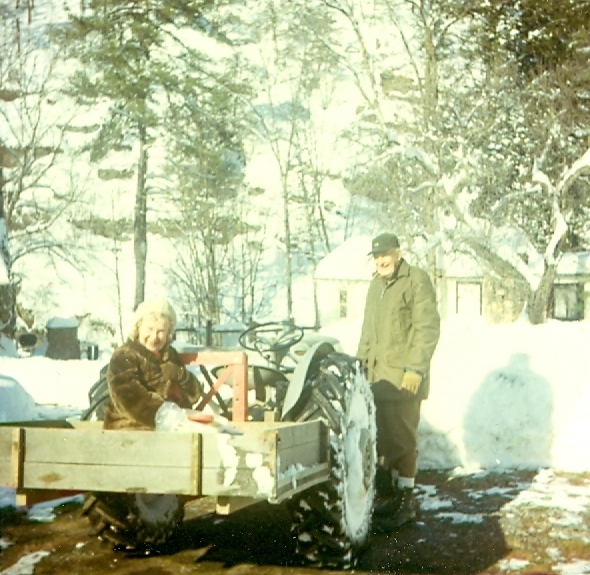 (1960s) Dutch’s parents left The Homestead after a New Year’s Eve celebration, but there was too much snow to get back to Sleepy Hollow. They stayed at a friend’s house along the way. The next morning Franz walked into Sleepy Hollow, got the tractor and went back to get Granny von Schilling. He put her in the back still in her New Year’s Eve mink coat.